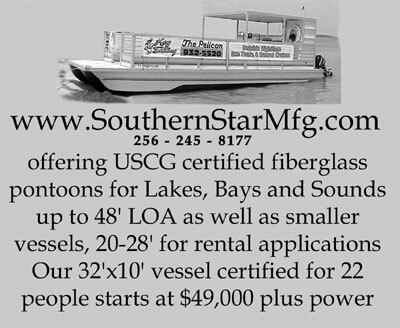 Southern Star Commercial Pontoons are made custom to your order. 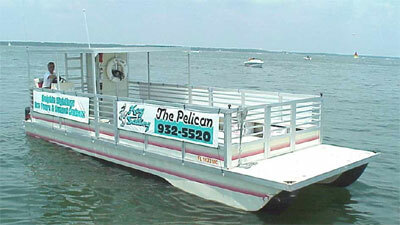 Our flagship products are pontoon boats for the rental industry. 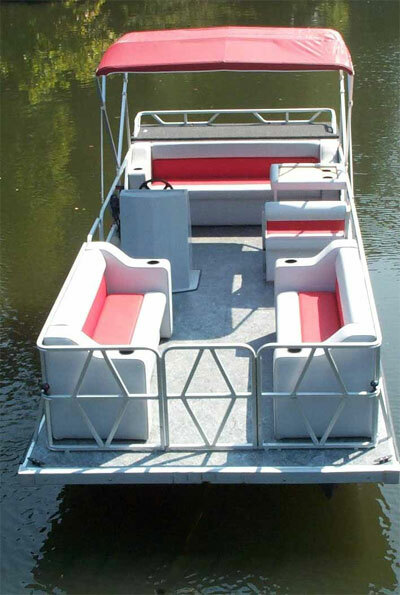 Our fiberglass pontoons are durable and are topped with a sturdy fiberglass deck and overall commercial construction. We have commercial rental units in use in many southeastern locations. 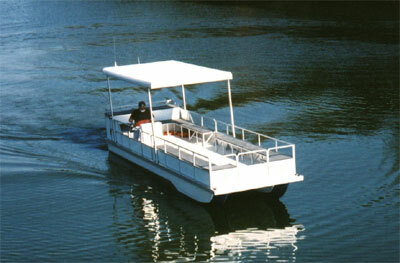 Mid-size commercial boats are available for a variety of purposes. They serve well for camp transport and fun, diving expeditions, or wildlife observation. Custom furniture is available from diving equipment bays to bench seating.